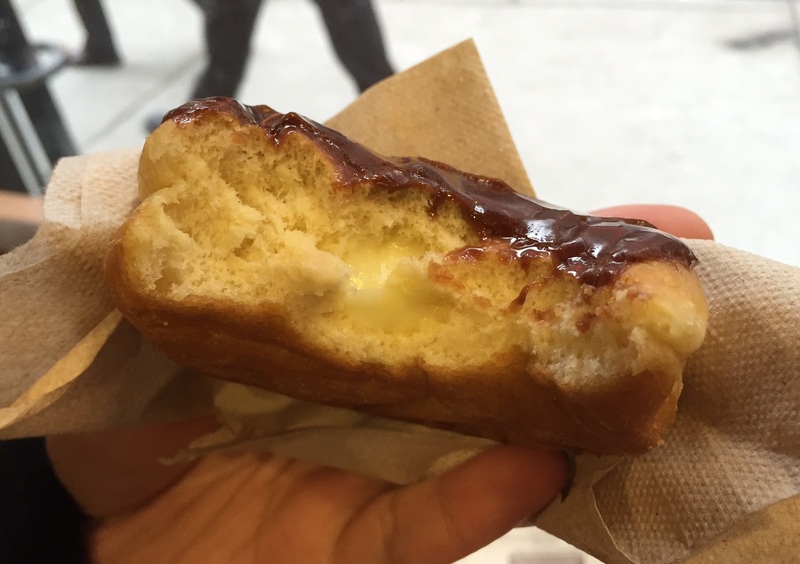 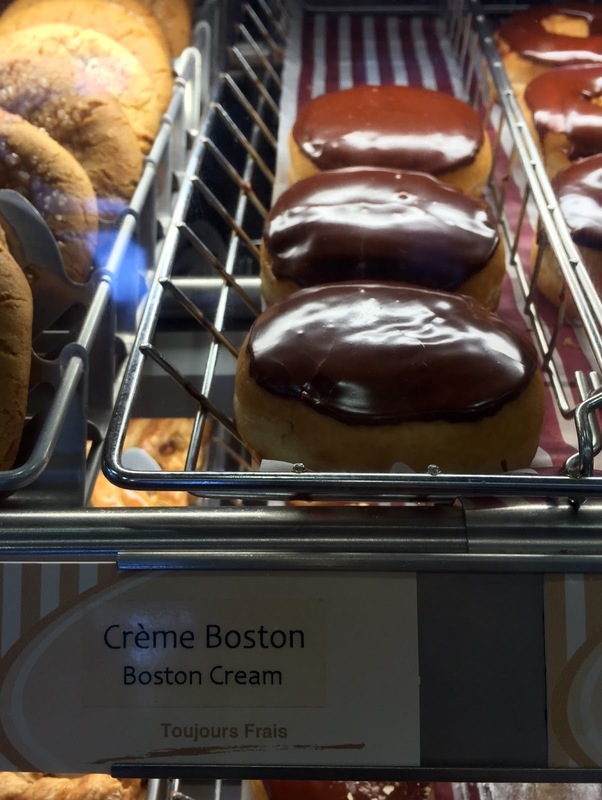 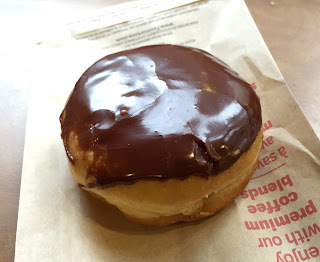 I got a Boston Cream Donut with Chocolate-Caramel Donut in Montreal. 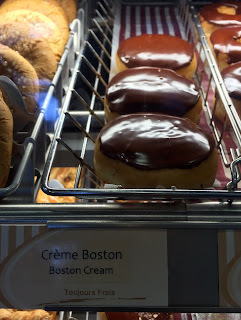 At that moment, I hadn't had a real Boston Cream Pie so that it's just to learn what it consisted of. 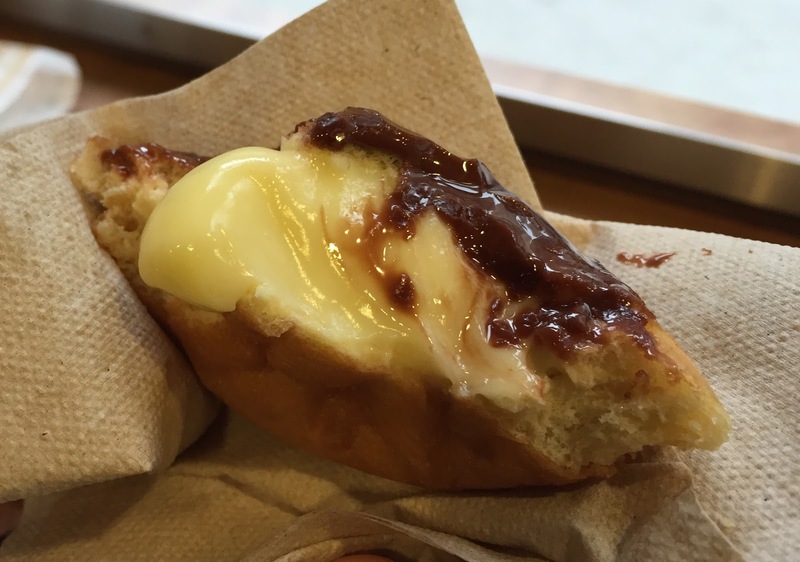 The filling didn't come out much with the first bite. 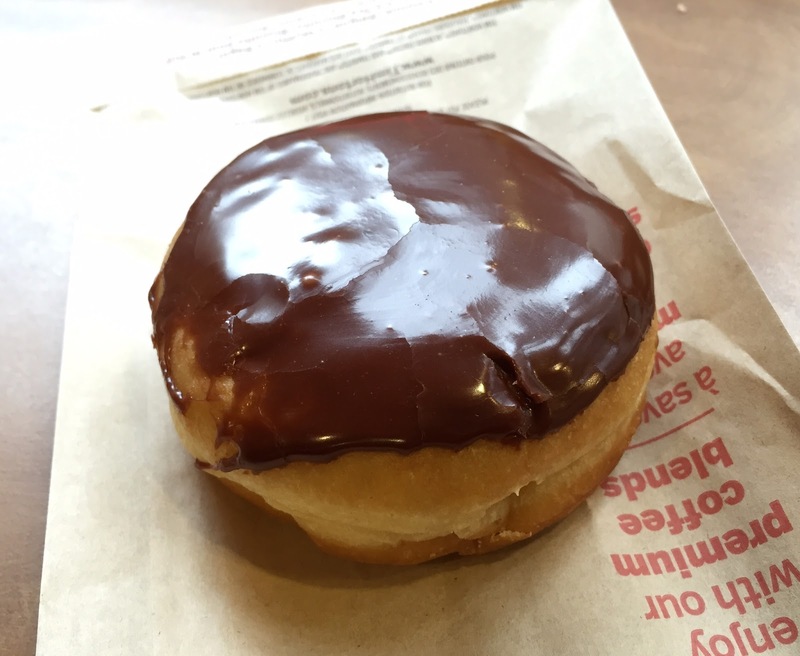 The custard cream inside was smooth, sweet, and eggy, and it went well with lightly sweetened chocolate on the top.